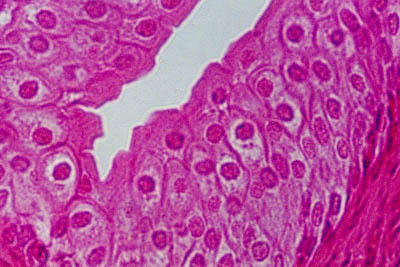 This histology slide shows transitional epithelium. The cells are several layers thick, so it is stratified. The number of cell layers is flexible, depending on the degree of distension. The cells are round/oval. The nuclei are round. The apical cells are domed shaped cells.